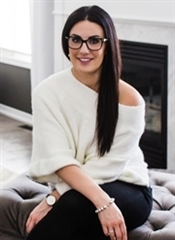 Having entered the industry back in 2006 as an administrative assistant, Sydney quickly obtained her license and has since went on to build a formidable business based on referrals & repeat clients. In that time, she’s gained recognition from RE/MAX Canada, achieving the 100% Club award and the Platinum Club awards for outstanding service achievements. With her high-energy, innovative approach to business, Sydney is known for her marketing.